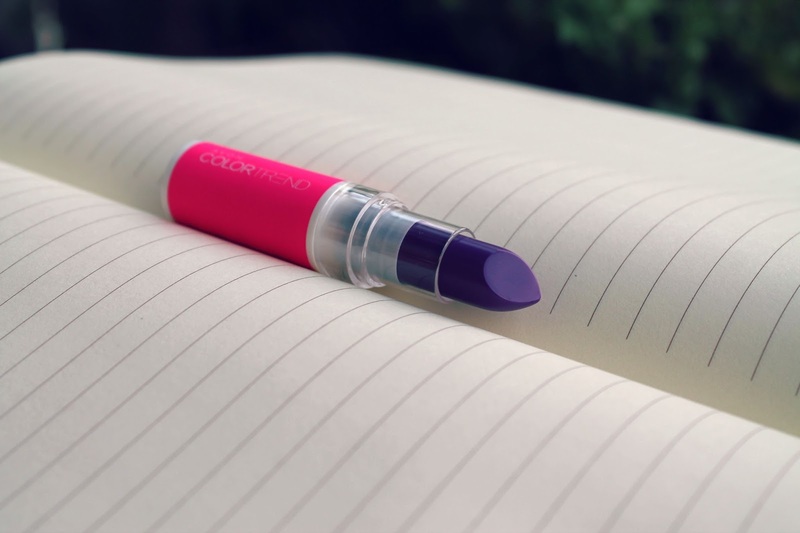 I ordered this lipstick because i am obsessed with purple and i was intrigued by the intensity of the color that i saw in the brochure. 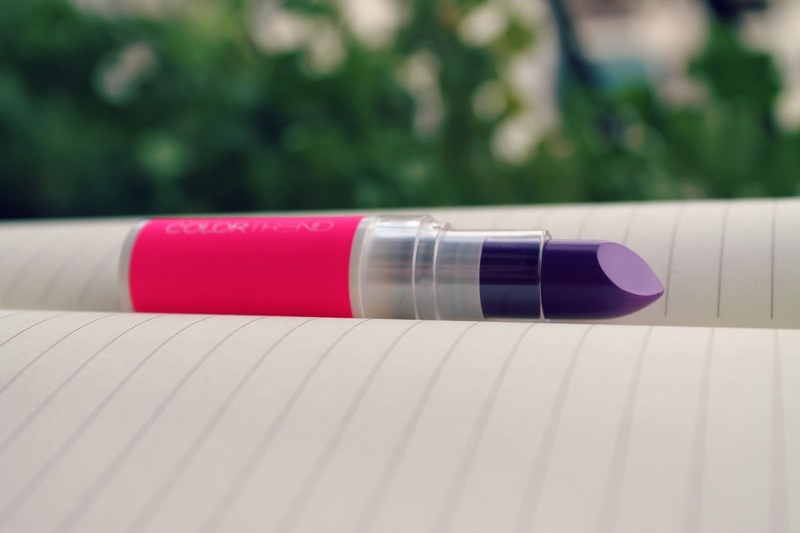 When i first opened it, it looked exactly like it looks in the brochure and i was very excited, cause i thought that maybe i've found the perfect affordable purple lipstick, but when i applied it i got disappointed. When you apply it it's very sheer and you need to apply few layers just to get a hint of purple, otherwise it looks like a very dark pink. 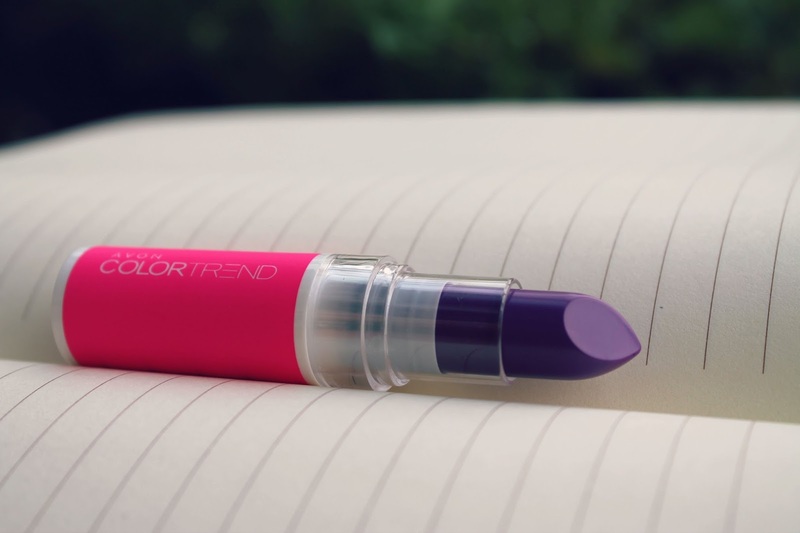 However, i like its creamy and hydrating texture and also its longevity, cause even though it's not very pigmented and definitely not as purple as it should, it stays on the lips for a good amount of time. 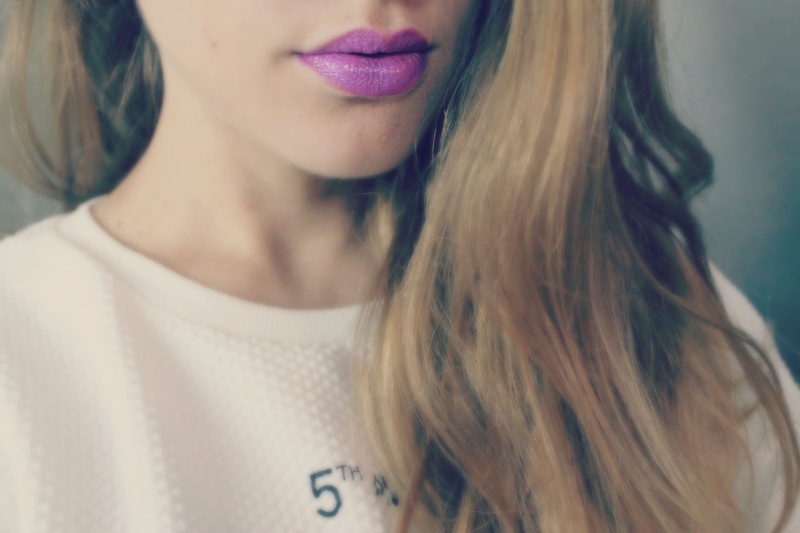 As you can see in the photos, the purple color looks very intense and tempting, but i am sure i won't purchase it again and i wouldn't suggest it to someone who's looking for a purple lipstick. All in all, it's not bad, it has its perks - the unique neon shade and the texture, but it's definitely not what i was looking for.